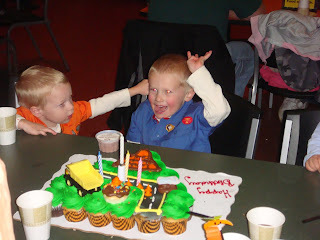 Landon turned 4 on October 16th. I can not believe that 4 years have come & gone! 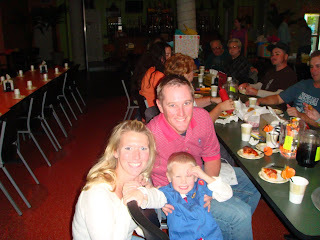 We had such a great time ( I am just thankful birthday parties only come once a year). 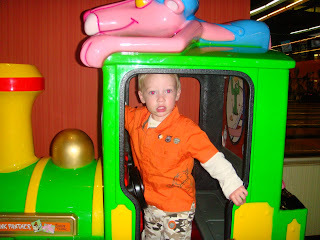 Dawson was more interested in the train. That is all he wanted to do! He could really care less about any of the other activities, aside from eating pizza, cupcakes, and ice cream. 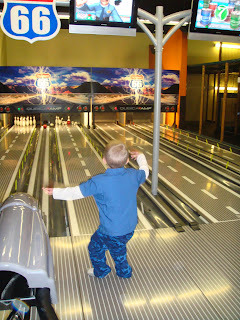 Landon was pretty good at the route 66 bowling (it's a miniature bowling alley). He threw a strike and with this picture he had a spare! 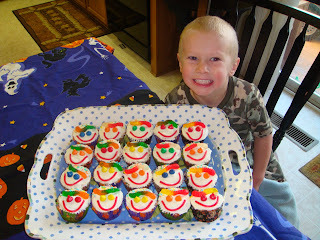 We made birthday cupcakes to take to preschool. It's always fun when the boys help in the kitchen.